Home IIS.NET Forums IIS 7 and Above Security IIS Manager with Smart Card to remote web server? IIS Manager with Smart Card to remote web server? 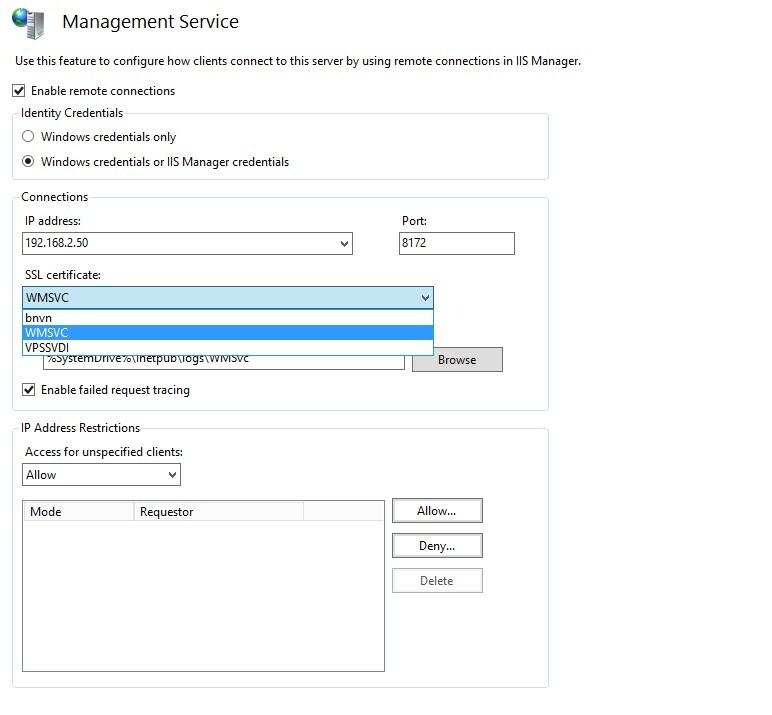 I'd like to manage a IIS server remotely with the IIS Manager. When selecting "Connect to Server" I get prompted for user name and password, which works fine, however I'd like to use a smart card here instead. Is this at all possible? Should I be looking at the "Client Certificate Mapping Authentication" or is that only for websites, not IIS Manager? Re: IIS Manager with Smart Card to remote web server? 1.open IIS manager select server node. IIS Manager only support username/password authentication. There is no way to use client certs, Kerberos, or any other auth mechanism for it. And last I checked with the devs, there are no plans to change this. That’s a bummer, thanks for the answer though! I will definitely look into the IIS Admin Portal, thanks for the tip!